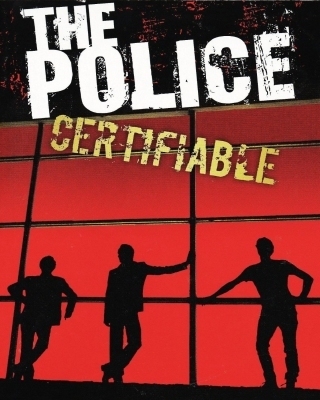 * DVD with 50-minute bonus feature, "Better Than Therapy, " directed by Jordan Copeland detailing The Police's historic reunion with exclusive behind-the-scenes interviews from the band and road crew, plus 2 photo galleries of The Police on tour; one shot by guitarist and photographer Andy Summers and one by photographer Danny Clinch. * 2 CD's with The Police's new live album from Riverplate Stadium in Buenos Aires, Argentina, including all of the band's classics such as "Message in a Bottle," "Walking on the Moon" and "Every Breath You Take." * The special 50-minute bonus feature, "Better Than Therapy" in HD, and the Summers and Clinch photo galleries in HD. *Wide spine gatefold jacket, contains 3 pieces of heavy weight (180 gram vinyl), plus insert for downloading MP3's of the album. The DVD feature¬ís the band's full Buenos Aires concert from December 2007, together with a CD of live audio highlights on the normal version. If you plump for the deluxe option you get the concert on CD, plus a DVD bonus feature with a behind-the-scenes documentary. Unfortunately the promo copy Rhythm received didn't include this, so we had to make do with the concert... Police fans have been treated to a fair bit in the last couple of years; a reunion tour aside, there was drummer Stewart Copeland's cracking DVD release 'Everyone Stares: The Police Inside Out' in 2006, a fascinating 'rockumentary' detailing the band's disintegration from the inside in the early '80s. In stark contrast, 'Certifiable' is a rather bland picture of an ageing rock trio seemingly going through the motions. If you attended any of the reunion shows you'll probably know what we mean - owning this is like standing at the back, watching the monitors either side of the stage. The saving grace is that there's plenty of great quality, close-up footage of Copeland as he deftly thuds his way through the old classics. But when they turn a song with the potential of 'Invisible Sun' into a nauseating lounge version, you have to ask, what's the point?